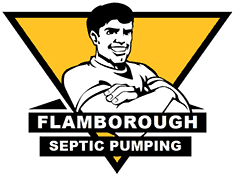 Serving all of the Hamilton and Halton regions, Flamborough Septic is your local team of professionals offering affordable and trustworthy septic tank pumping and inspections. If you are having your septic tank pumped for the first time, we will take several factors into consideration – such as the age of the tank, location, size and current condition. A combination of these factors would give us an idea of when to schedule future maintenance and routine pumping services. With our help, you can simply forget about your septic tank and let us handle it for you! Our years of hassle-free septic inspection services have made us one of the go to professionals for all septic tank system pumping and maintenance. If you’re looking to have a septic tank inspection– give us a call for a timely and affordable inspection. For all your septic tank pumping, inspections and maintenance needs in Hamilton, call Flamborough Septic at 905-689-0333.